Posted January 31st, 2015 by alexa & filed under Families. 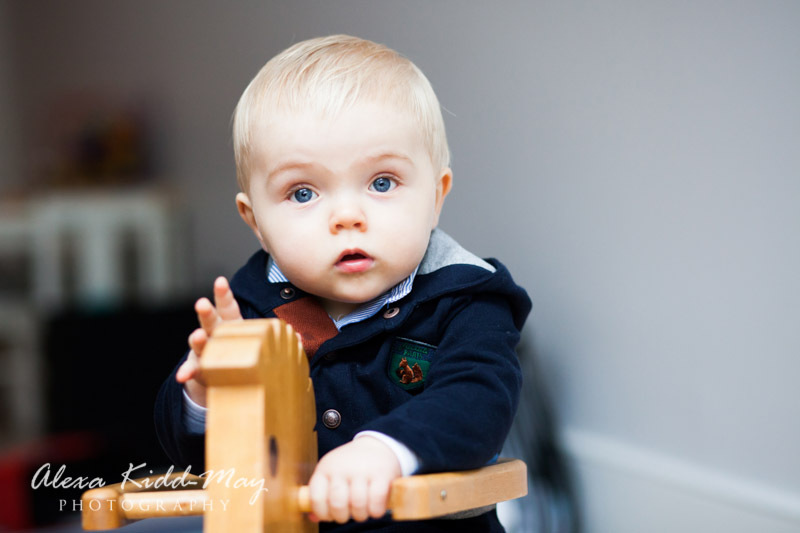 I love meeting and photographing new families. 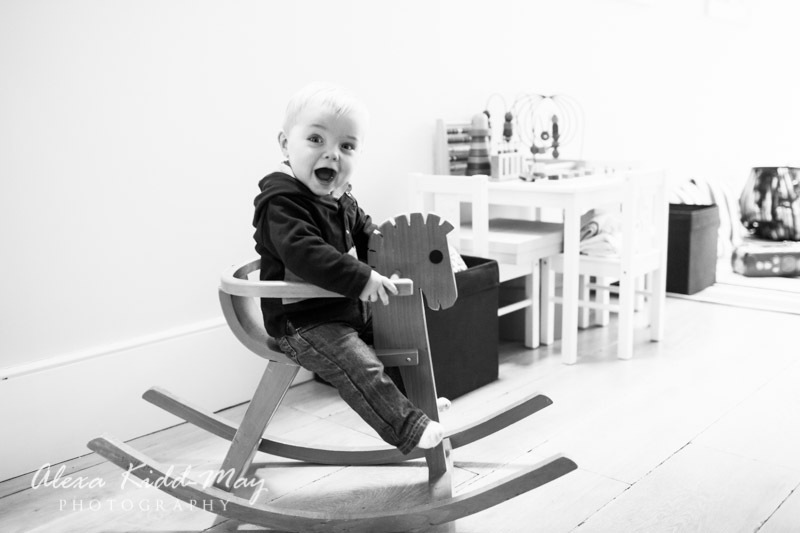 It feels such a privilege to be invited into family homes to create images of them all together. 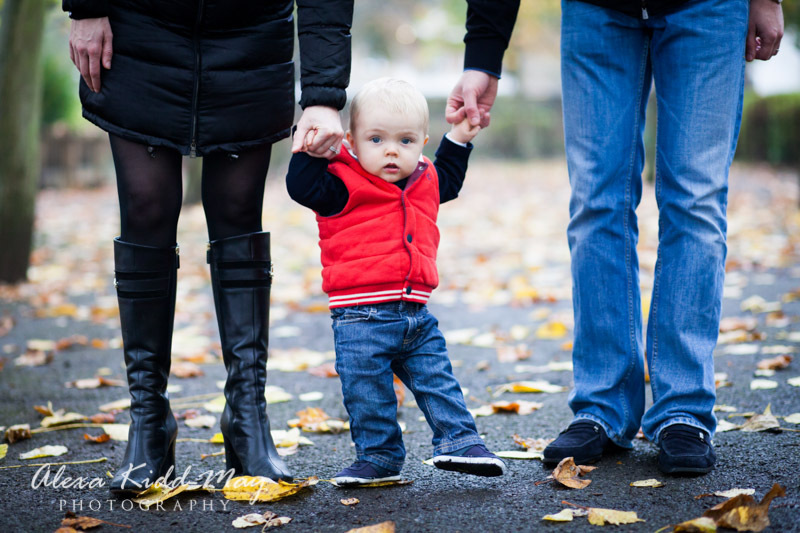 I had a great time taking photos of this young family back in November. 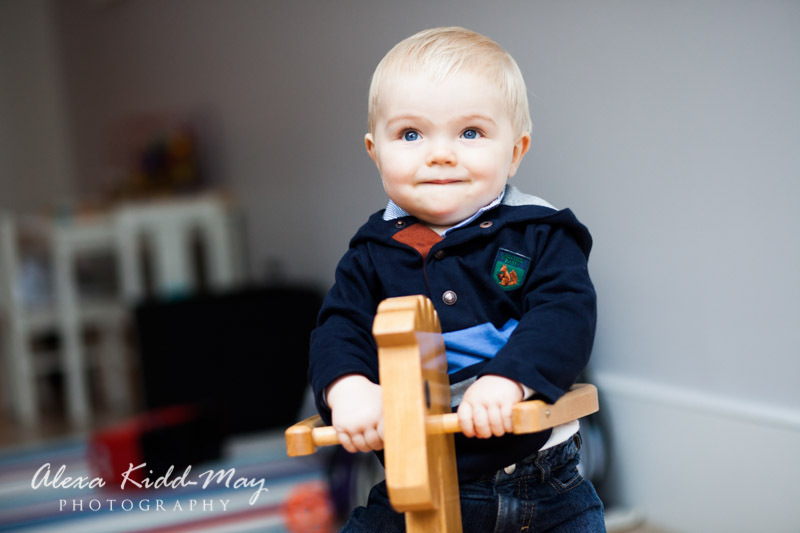 The parents had got in touch after a friend of mine had recommended my family photography to them. 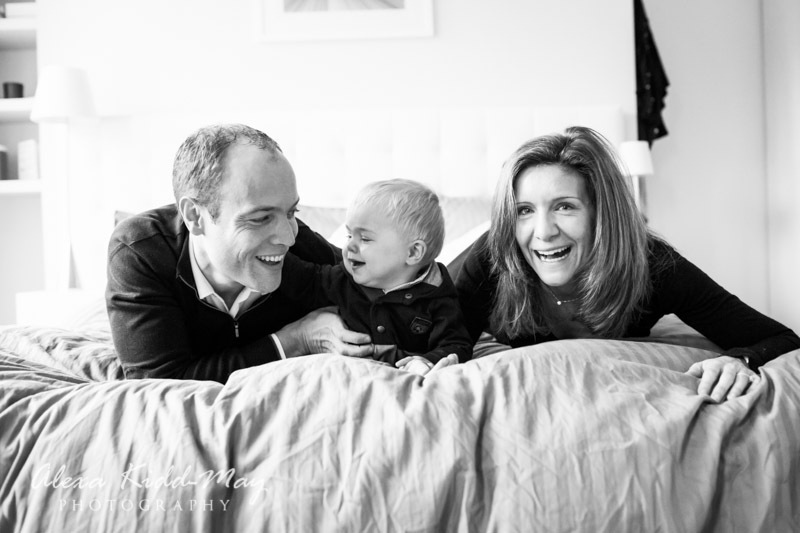 They wanted to get a series of photos of them with their little boy. The plan was then to choose one image to go on a Christmas card to send to all their family and friends. We started nice and early one Saturday morning at the family home. 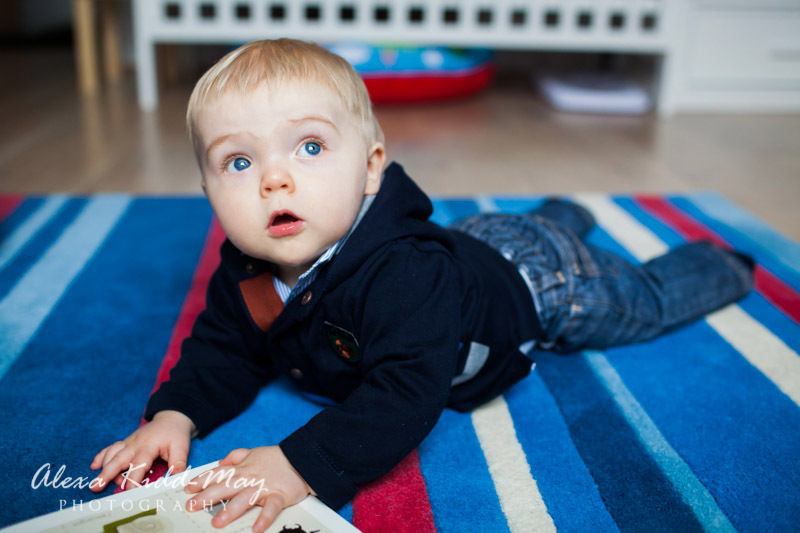 The baby boy was playing happily with his toys, particularly enjoying his see-saw, as you can see from a few of the photos. It was a slightly drizzly morning but that didn’t put us off going out. 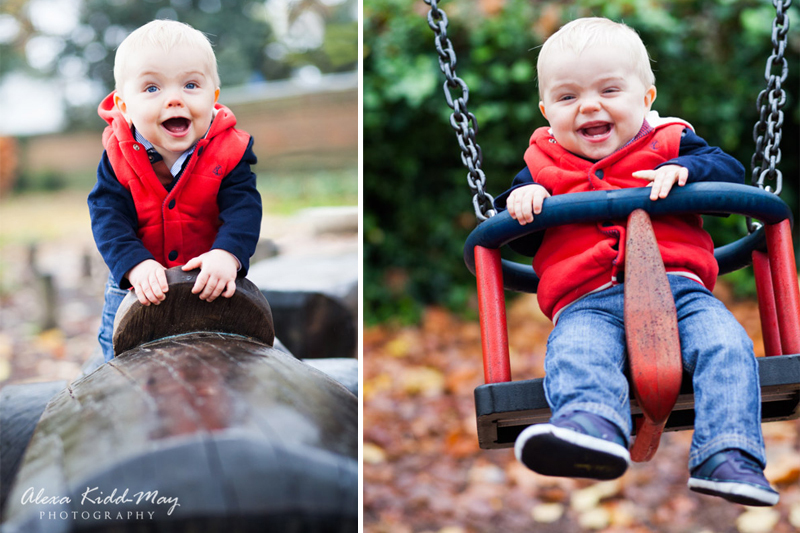 We made our way to the local park to capture some outside portraits amongst the leaves and in the playground. 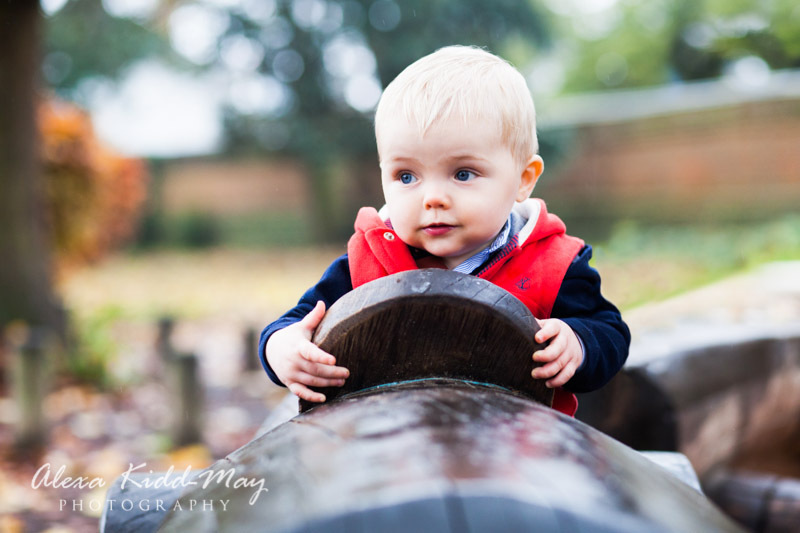 I love photographing in Autumn! 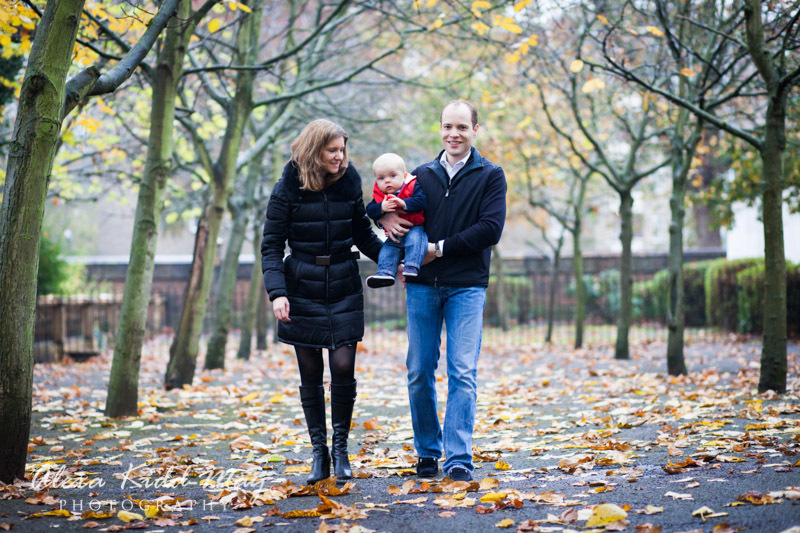 The colour of the leaves make for such a fantastic backdrop in the images. 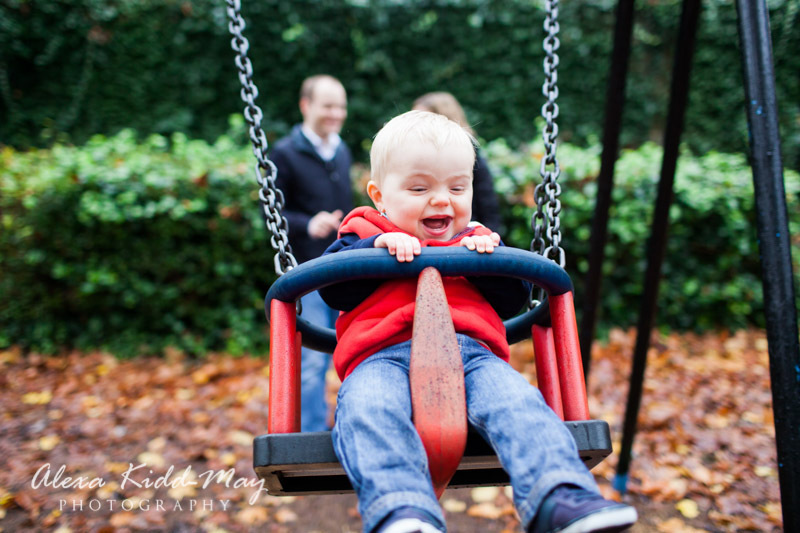 One of my favourite photos from the park is the one of the cute little boy looking so happy on the swings. He just loved being pushed higher and higher! 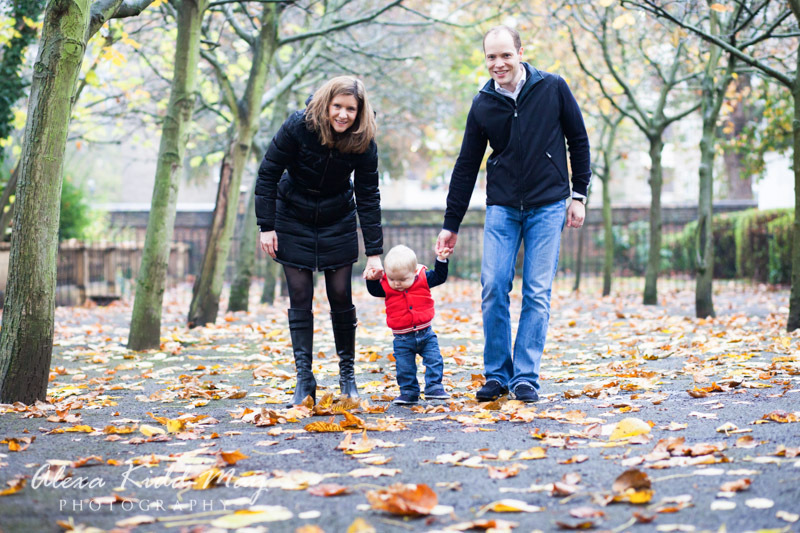 After taking some lovely outdoor family portraits we made our way back to their home. Here we got a variety of images in different rooms of the house. While we were chatting I discovered that one of the father’s hobbies is playing the cello. 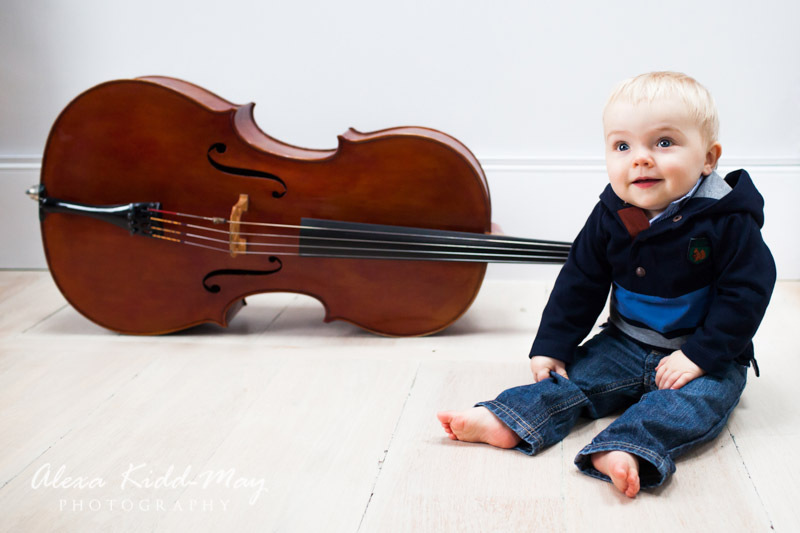 So we thought it would be lovely to create a portrait of the little boy in front of his dad’s cello. 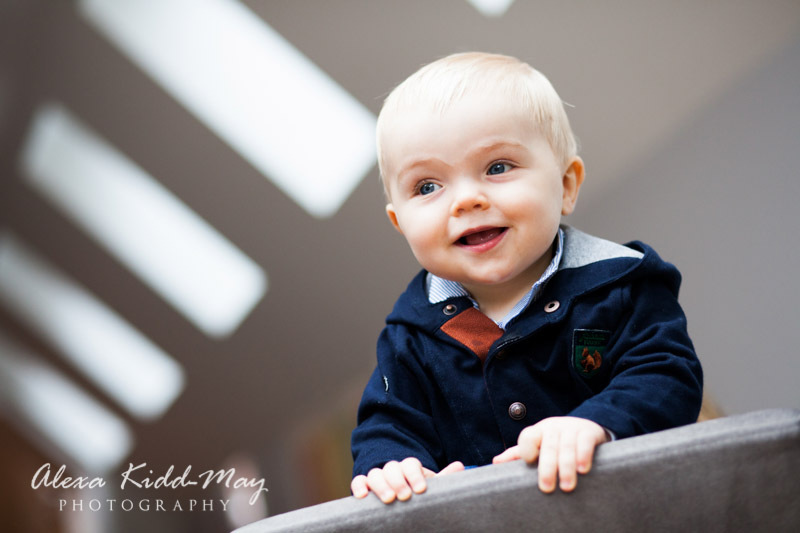 I love this image and the little boy certainly looked happy about it too! 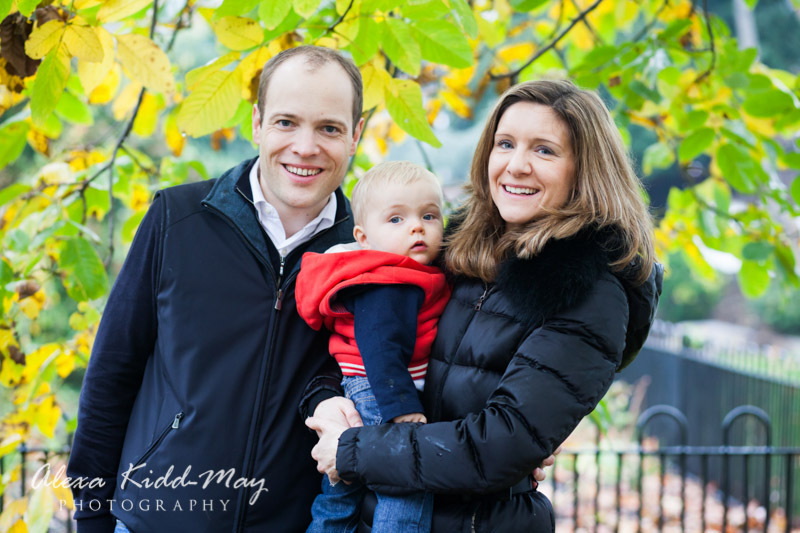 After the session I was happy to hear that the parents were overjoyed with their photos and had chosen one from their Christmas card. I was also lucky enough to received one of the cards too! 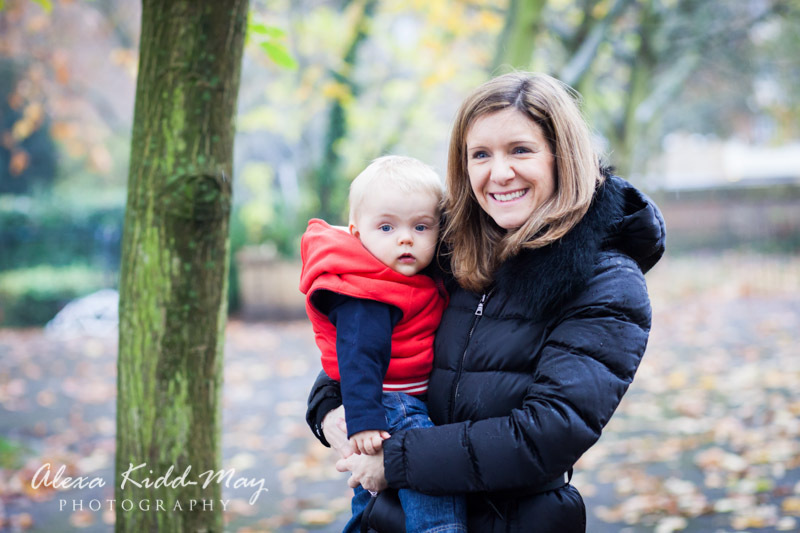 Here are some of my favourite shots from our family portrait photography session.